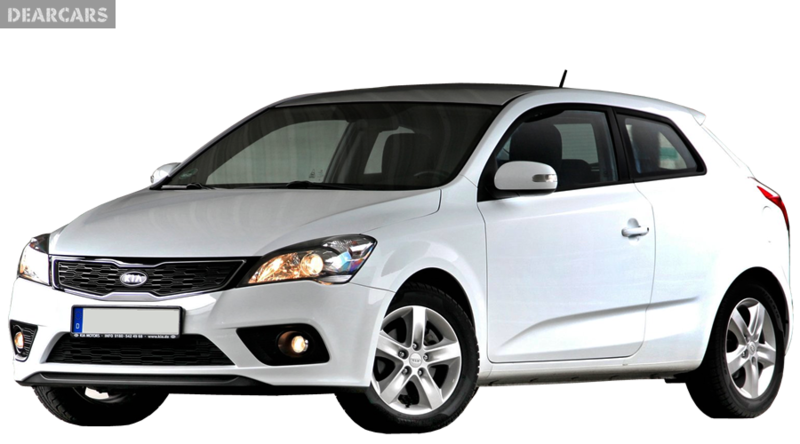 The Kia Pro Cee'd is considered a direct competition to the three-door Hyundai i30 along with the SEAT Leon SC along with the Vauxhall Astra GTC. This car is mainly a version of the Cee'd hatchback in its three-door version since both the cars have similarities in terms of dimensions with the same length of 4310 mm, the wheelbase measuring 2650 mm and the width of 1780 mm. However, this particular car is 40 mm lower than the Cee'd hatchback. 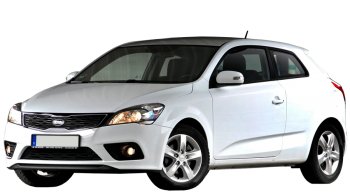 Over the years, Kia has evolved from having the blandest looking cars in the market to having excellent looking cars and to validate this point, the Kia Pro Cee'ds is considered no exception. This car has a better stance when driving on the road than the Cee'd hatchback. It appears wider as well as more aggressive because of certain tactics which include the narrower grille and the front fog lights. The curves; however, on the tail lights are quite identical to that of the VW Scirocco. You may be fooled by the looks of this car that it will have a sporty drive. However, this image is not true because it has a drive that is similar to the regular Cee'd. This is because of the soft ride which paves way for a comfortable journey when you are driving long distances. You will face some roll in the bends but they are still controlled quite well. It has somewhat vague steering but it is still adequate. However, drivers who want an excellent drive would want to consider another option. In addition, the 1.6-liter diesel and petrol engines will not disappoint, since they are quiet and smooth. The Cee'd and the Pro Cee'd are quite similar; in fact they can be cousins to each other since they have the same technology and the engine. This particular model also has a 100,000-mile and seven year warranty. In fact, this particular car also has an additional warranty of map updates on all the satellite navigation models for seven years. You will also find the servicing plans that have a fixed price quite attractive which include three years or five years of repair and maintenance by the dealers, which has the costs included. This car has excellent safety features which include six airbags, ISOFIX child seat mountings, hill-start assist as well as stability control. You will not find that this car is not that impractical, since the tailgate is quite light and can be swung up easily. Furthermore, the lip of the boot is narrow and high which can make loading quite tricky. Nevertheless, the boot has the same storage capacity as the Cee'd which has five doors. The seats at the back can be folded flat so that the storage capacity can be increased to 1225 liter. The size of the items that can be carried is limited because the roofline is relatively lower. The front doors on the other hand are longer than the five-door version by 270 mm, which makes getting into the rear seats quite easy. However, in limited parking spaces, it will be difficult to get into the car.